Garden Bouquets 2016 Calendar@3170 Rs [Mrp:-3170] - Onlinedeals.discount - A leading product discovery and comparison website. Find the true prices of products, read reviews and buy top brand products at reasonable prices. Size: 4.25 in. x 5.25 in. According to Western tradition, life began in a garden, and the association of gardens with peace, beauty and happiness endures. Flower gardens have inspired artists the world over, all seeking to capture the fleeting essence and fragility of ephemeral blossoms. 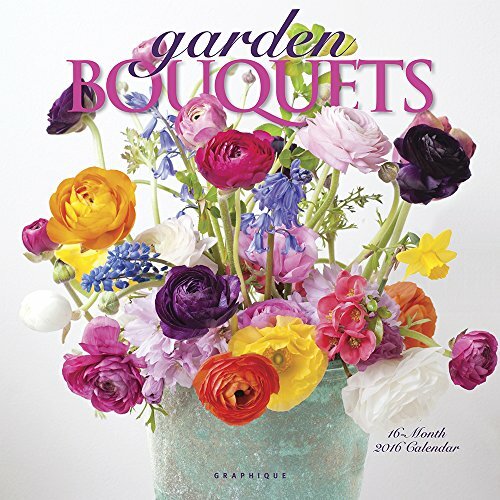 In this calendar, photographers have captured in stunning color and groupings the splendor of sumptuous garden bouquets.